The following article by local journalist Shirley J. Gregory explores Energy House Two, our showcase of the techniques available to owners of small homes, in this case a condominium unit, as well as the cost and ecological benefits of such a renovation. The Energy House comes to Parkfairfax. As a means of demonstrating and educating home owners as to the latest in energy efficiency methods and systems, a group of local businesses banded together to develop an innovative concept called the Energy House. 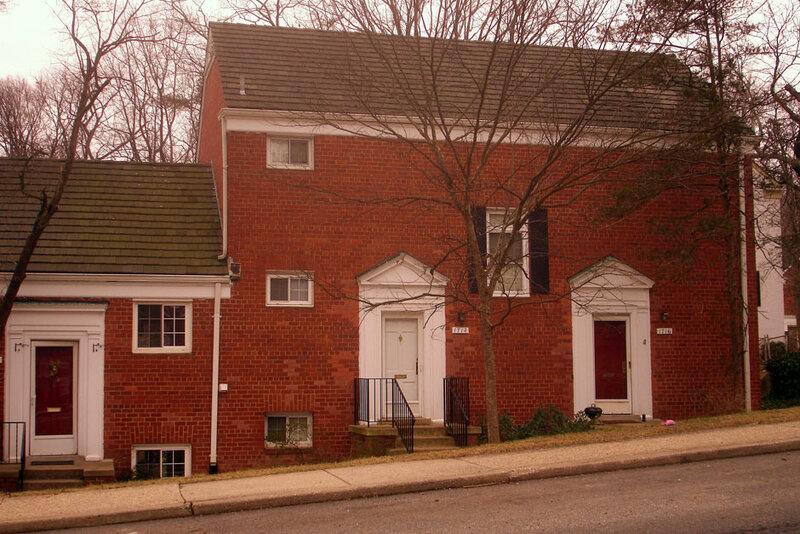 The subject of Energy House Two will be the condominium at 1714 Preston Road in Parkfairfax. It exhibited all the signs of energy inefficiency until Charles Juris, owner of Energy Resource Management Construction Corp. LLC (ERM), and his Energy House solutions partners revamped it. Thanks to changes that fit a small budget, energy usage and heating costs have already been reduced greatly. As heating costs rise, many homeowners are exploring alternatives that will not only improve interior climate control, but also conserve earth’s natural resources. Even if they reluctantly inch the thermostat higher as the winter grows colder, their homes remain cold and drafty. In addition, they endure discomforts such as walls cold to the touch, “sweating” windows, and air seepage around air conditioner units, windows, and doors. Winter rains and a wintry mix leave icicles hanging from the eaves. There are other hidden energy wasters, as well, that might surprise homeowners, but which can be easily identified and repaired. It is possible for homeowners to keep their homes toasty without depleting their bank accounts. The initial questions they face are what changes will have the most impact, and how should they begin? The answers begin with a free ERM “holistic energy review,” which leads to a personalized “Energy Design” of the home to correct the problems. The first Energy House showcase was launched last fall in Oakton, VA and was open each weekend for free tours through the month of October. More than 200 people attended this unique opportunity to observe energy conservation methods and systems in action in an existing home. The Energy House One project featured three geothermal systems; two mini-splits zoned heating and cooling systems, improved insulation, and weatherization throughout the house, solar hot water, interactive energy monitoring devices, and rain water collection methods. When Parkfairfax condominium owners Ron and Janet Cashion toured Energy House One, they immediately decided they wanted to implement some of those conservation principles in their home modernizing it without losing its charm. They asked ERM for a “Holistic Energy Review,” and acted upon the recommendations. 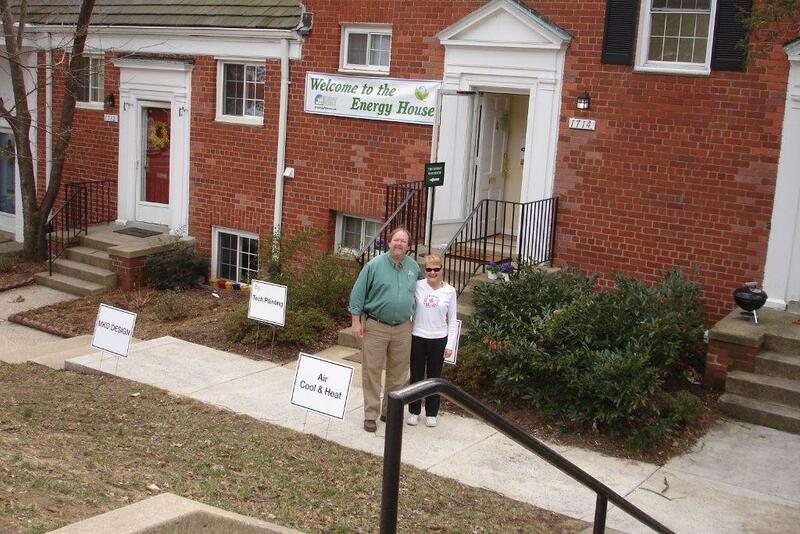 Then they generously offered to open their unit for the Energy House tour because they are so pleased with the results, and want other Parkfairfax homeowners to find out how to increase the energy efficiency of their homes without emptying their pocketbooks. Not only is their tenant more comfortable, her heating costs are 25% below this time last year. 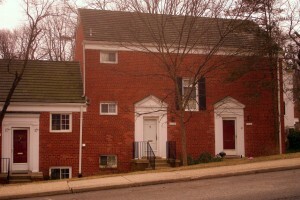 It was decided that Parkfairfax was the perfect location for an Energy House as a means of demonstrating and educating that an energy upgrade of a home does not have to be large in scope and costly. ERM and its team decided to take Ron and Janet Cashion up on their offer to launch the Energy House Two project in the Parkfairfax community. Energy House Two is a one-bedroom condo laid out in the Monroe floor plan, see below; the floor plan is highlighted with the energy efficiency changes that were made to the unit along with some of the cosmetic face-lifts that were done at the same time. Both small and large energy renovation projects require a holistic evaluation approach. 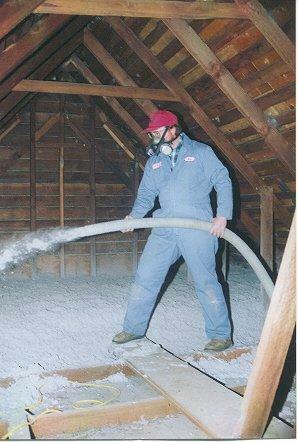 This means that a thorough basement to attic investigation of the home is completed to pinpoint heat lost through walls and attics, and, around windows and doors using electronic detective equipment like blower door testing units and a thermal imaging gun. Energy “vampires” and inefficient appliances are identified with use of the Google Power Meter, and the TED Energy Detective. With these assessments a personalized “Energy Design” can be implemented with the homeowner’s budget in mind. The “Holistic Energy Review” and the subsequent “Energy Design” provided by ERM for Energy House Two in Parkfairfax, while focused on energy, also took into consideration health, safety, functionality, and aesthetics. Dehumidification, new lighting, plastering, bathroom light/vent and spot heating, new door locks, carpet and floor refinishing are some of the esthetics that were also accomplished with the energy upgrade work. The unit is a one-bedroom condominium, located on the third floor of one of the main buildings. The unit is approximately 800 square feet, which had five separate electric heaters located in the downstairs hallway, the kitchen, the bathroom, the living room, and the bedroom. It also has an attic that had very little insulation and what was there was probably original to the house. The energy upgrade of this Parkfairfax home included the most advanced energy management products and systems on the market. Included is an interactive home energy system that monitors energy usage, throughout the home and is sent in real time to the Google Power Meter web site, which the homeowner can access from their own lap top or smart phone. A complete energy-efficient lighting scheme has reduced the lighting consumption by approximately 40%. There are two heating and cooling zones, in the bedroom and living room using a Mitsubishi Mini-Split heating and cooling system. http://www.mitsubishicomfort.com/ The condo unit was insulated with an additional 16 inches of cellulose in the attic, weather-striping around the front door, a new door sweep and the repair of the storm door to enable it to close properly, caulking around all windows, baseboards removed on all exterior walls, sealed with insulating foam and returned. “Green” non VOC paint and stairwell carpeting completed the transformation.